New snowfall adorns the landscape within Oregon's Three Sisters Wilderness, looking towards South Sister and Broken Top peak beyond. This photograph was taken in mid-June! 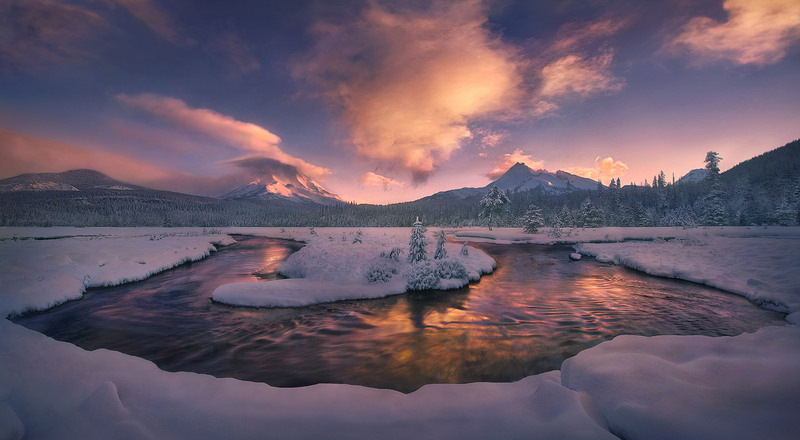 Gotta love that Oregon weather.... Photo © copyright by Marc Adamus.